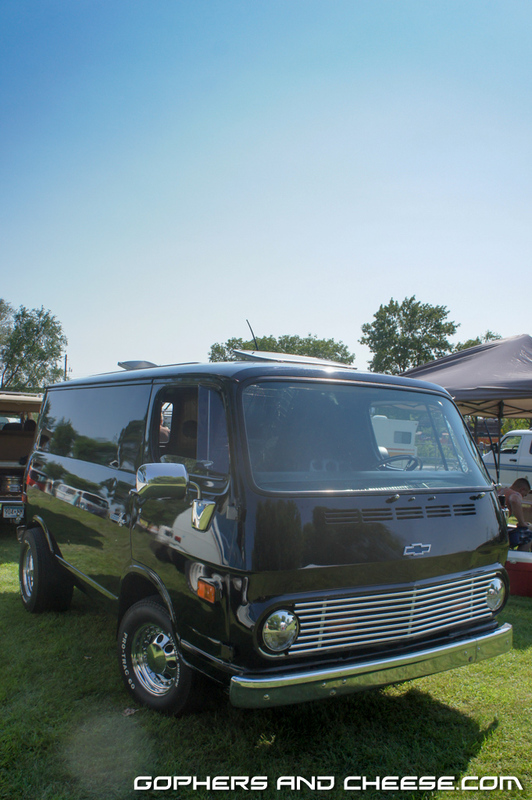 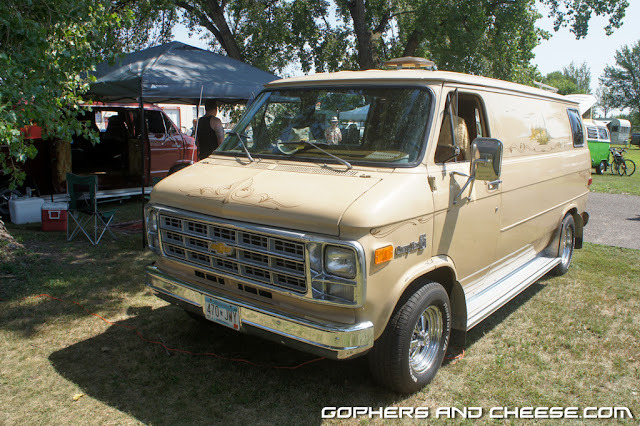 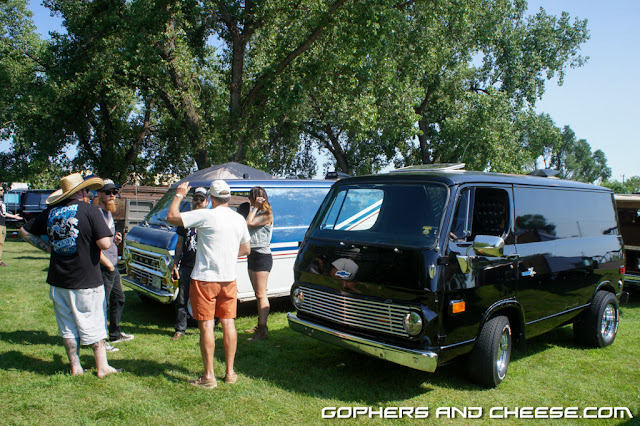 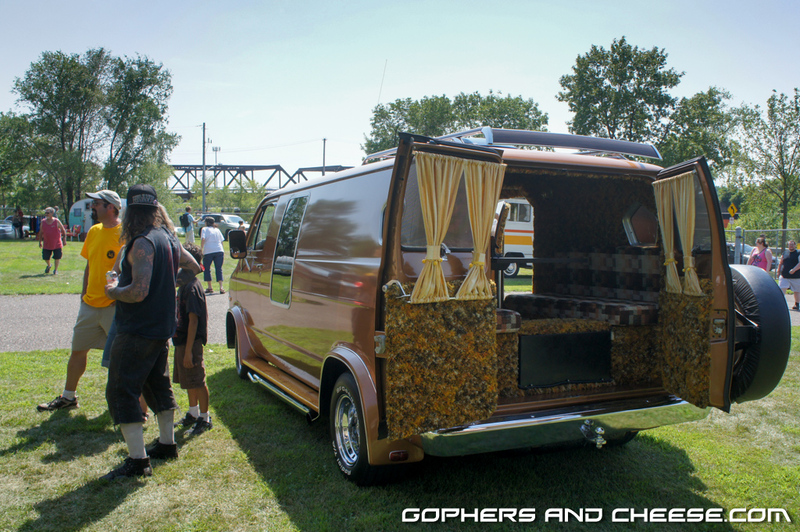 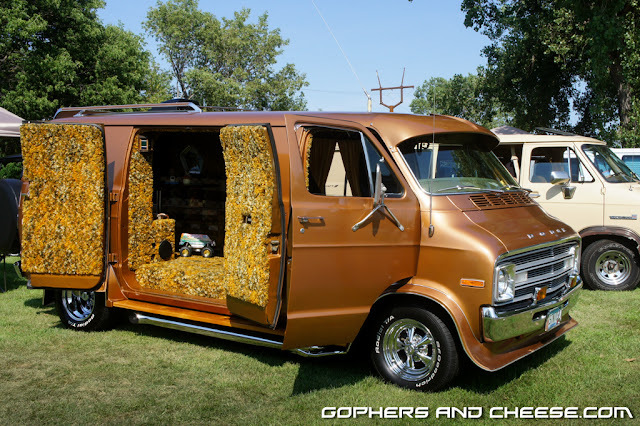 Chariots of the Gods 2015 had some pretty awesome vans. I love that people open their doors and let you look inside. 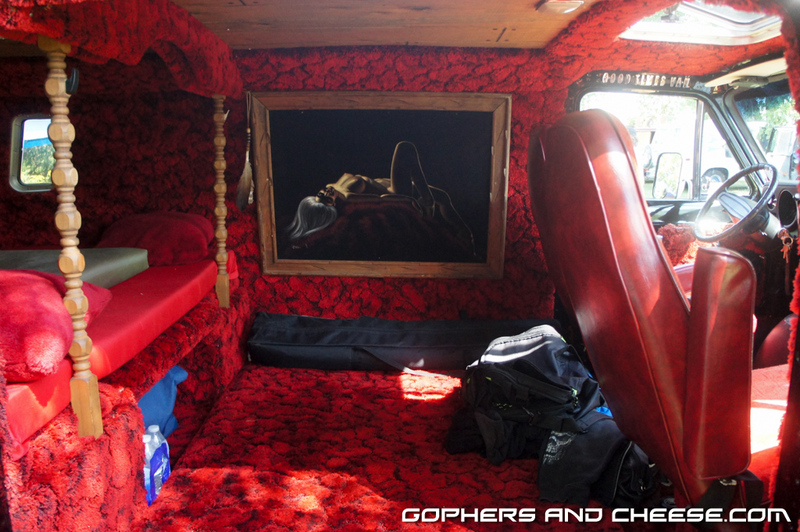 It's like looking inside someone's house and seeing their living room, den, or sometimes bedroom. 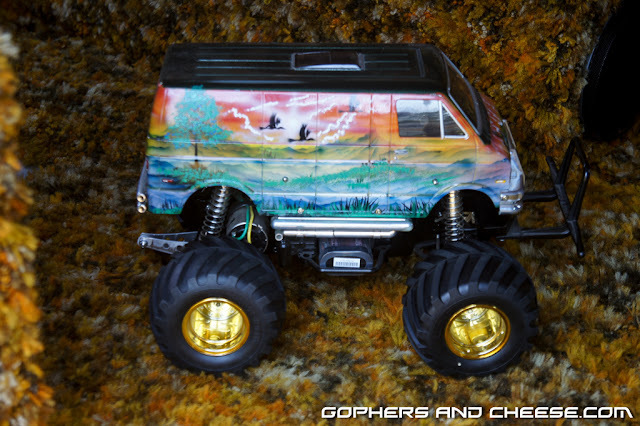 I think seeing this Tamiya Lunchbox re-sparked my interest in radio controlled cars. That, and because I ended up selling my full-size van, I figured there's always room for an R/C van. I built my very own Lunchbox over the winter and just need to finish the body. 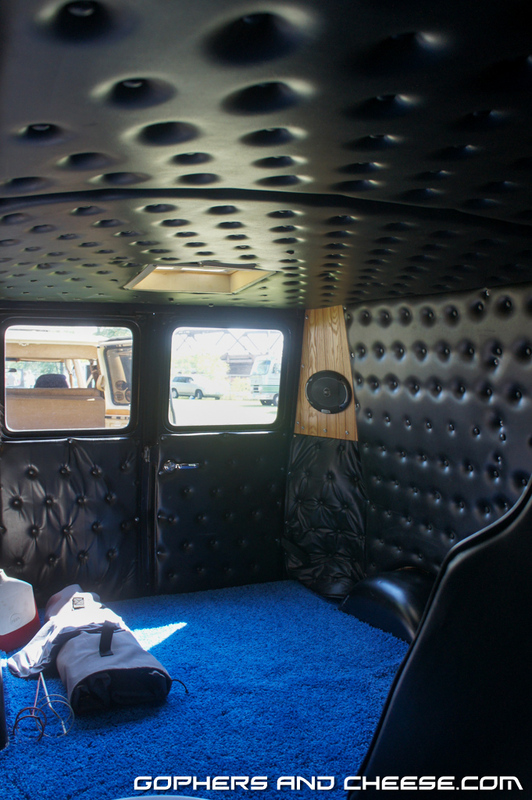 As if the wall-to-wall shag carpet above wasn't enough, check out the incredible interior on this one. 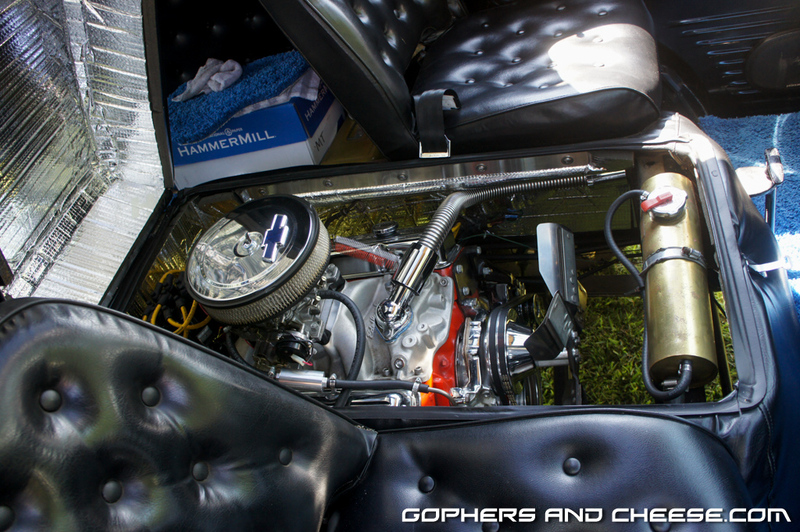 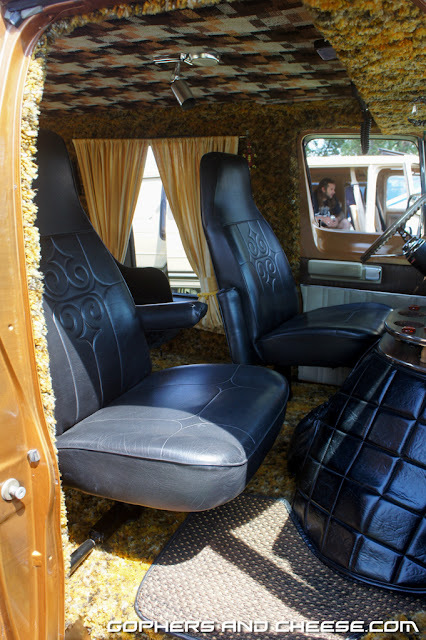 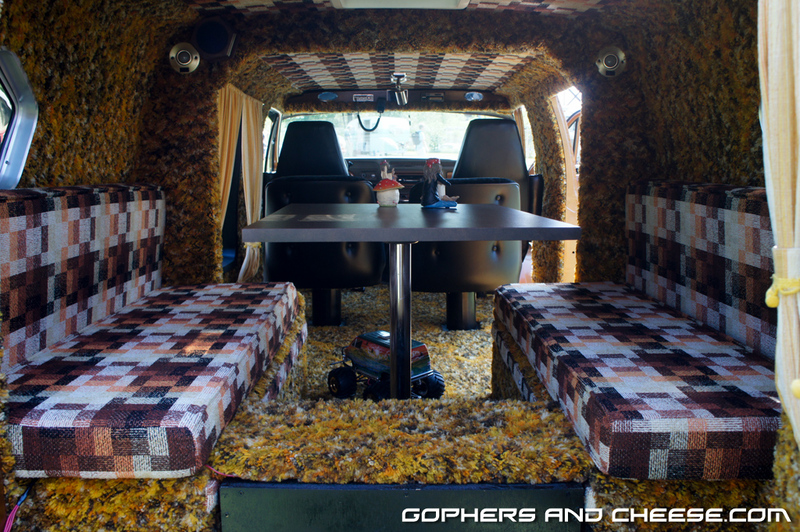 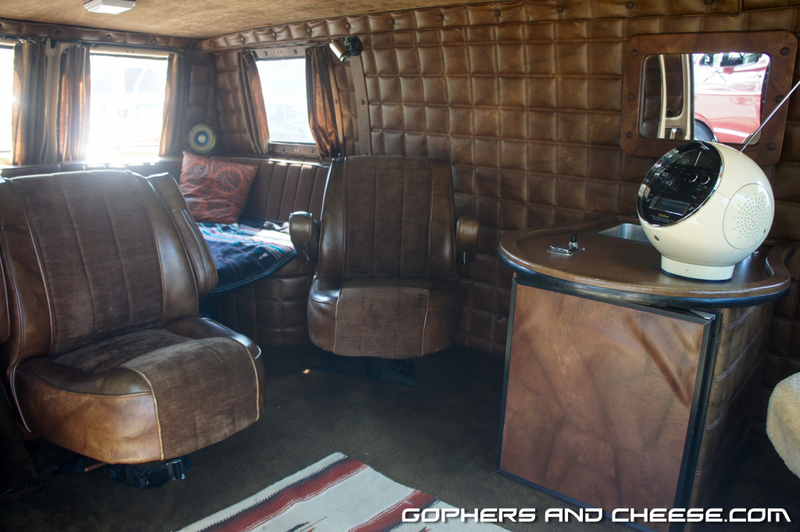 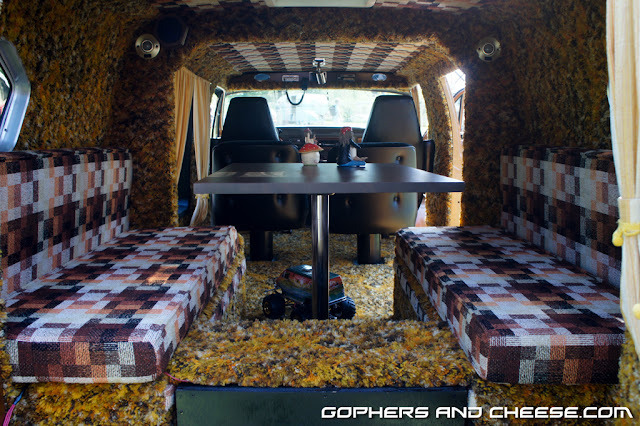 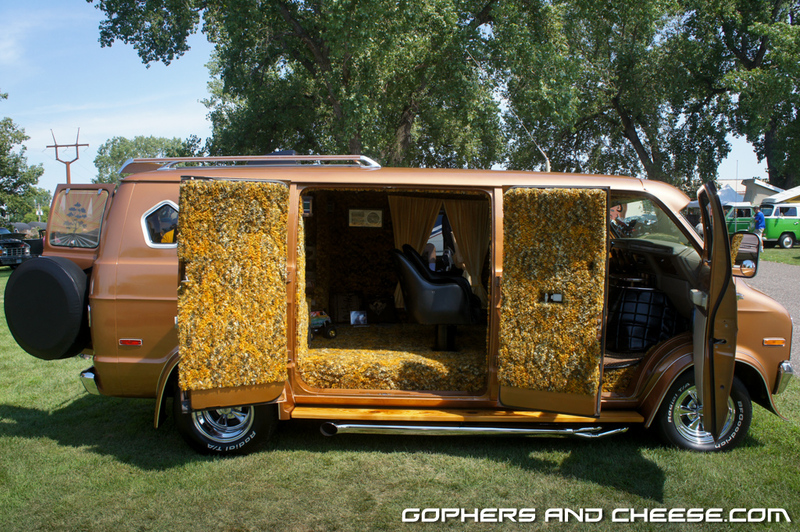 This van's interior was cool and there was a cover between the front seats where you could access the motor and even see the ground which would be pretty surreal while driving. 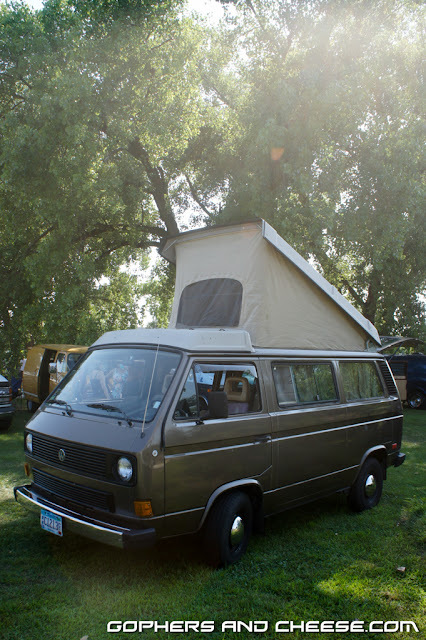 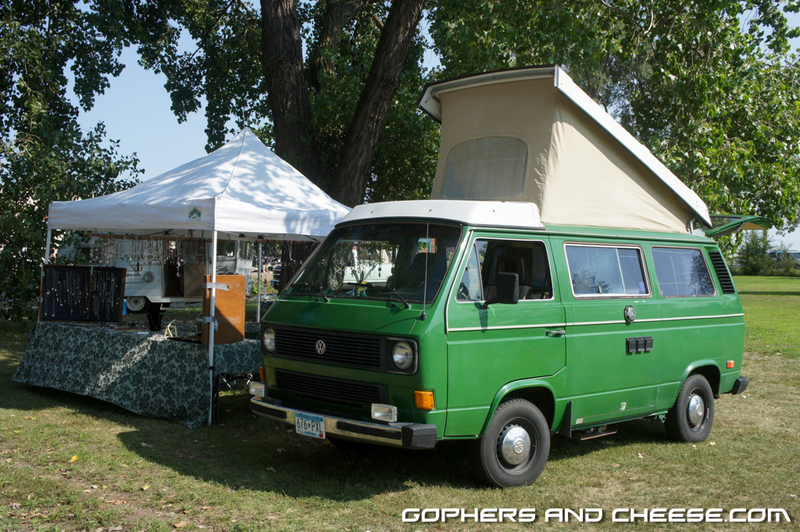 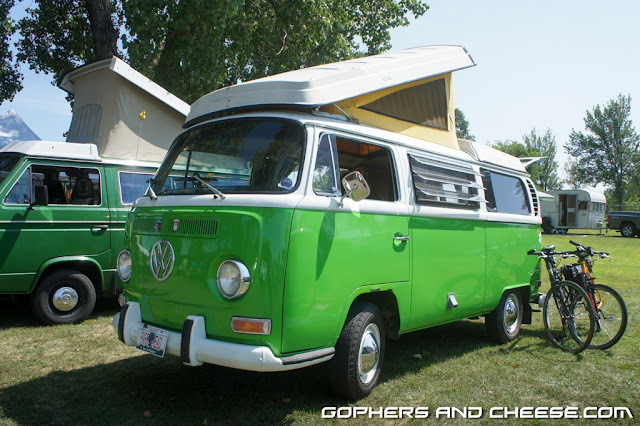 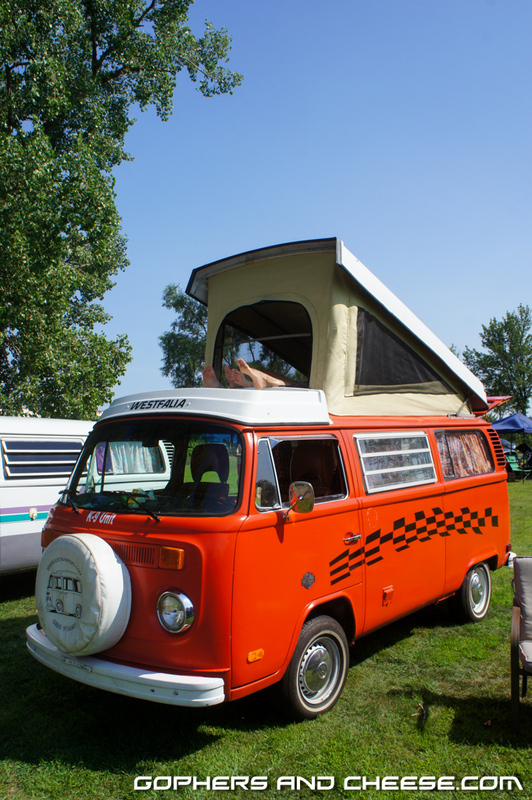 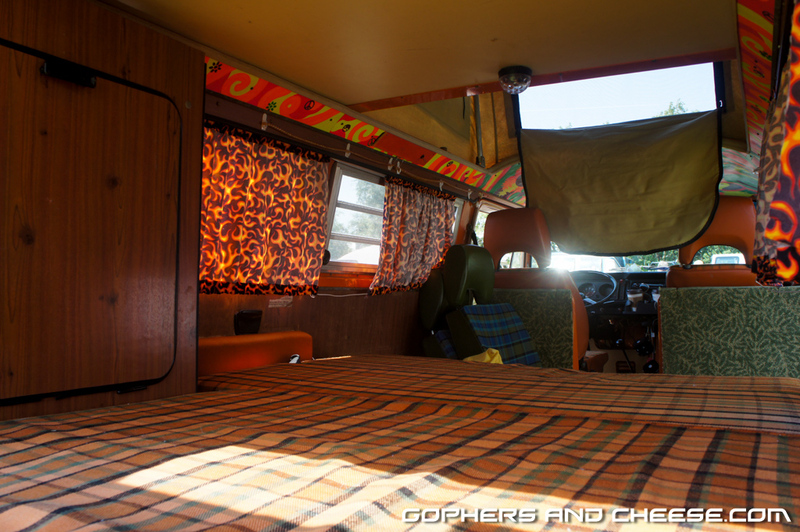 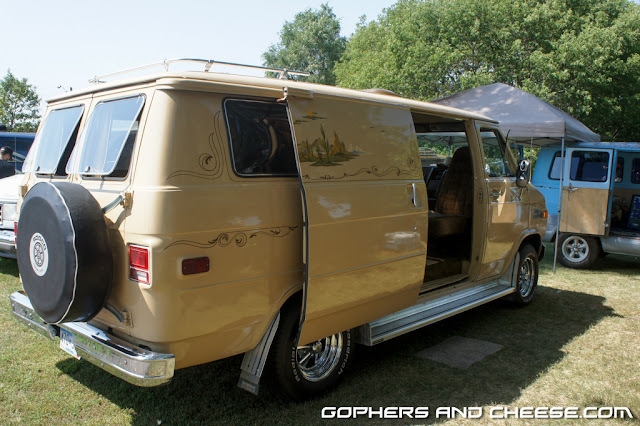 I'll wrap up with some pop-up camper vans that would look perfect in a national park. This year's show is August 13, 2016 starting at noon and you can camp overnight.